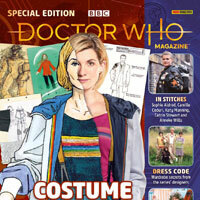 Does anyone know if there are any sets or TARDISes in Cambridge? I am going to try and see if Sale in Manchester has any, I think they may not get any until Thursday, but it would just be the figures. Just been to two B&Ms in Birmingham – nothing at the Small Heath branch except old ninth doctor sets and up the road at St Andrews retail park branch they had just one 11th Doctor set – which I didn’t want! Has anyone been into the Bexhill B&M Ravenside store in East Sussex? Popped into Bexhill teatime and they had none in. I asked and was told all the figure sets had gone by Sunday afternoon. Will post if they get anymore in. Thanks Wendy Love. That’s a shame. I hope to go in there on Wednesday, but I suspect I will be out of luck. Tbh finding these sets is just the luck of the draw. Hi Voldemort. Not sure how this would work but I have that spare TARDIS which you are welcome to have for the same I paid at B&M if you haven’t found one yet. And if you have, we’ll offer goes to any other Bexhillian. I don’t see a problem with a member of staff keeping 1 of each set behind as long as they don’t keep all of them. They are customers too when they finish their shift and purchase items. Is anybody South Wales on here? If so have you seen the Tardis anywhere? anyone know if there are any 12tb doctor sets in Crawley? 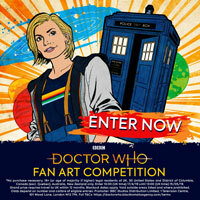 or Tardis sets as well? Anyone know any sets in Warminster? 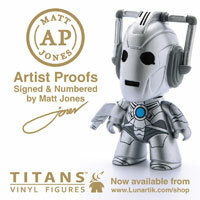 So is that all Tardis sets everywhere sold out? No, there’s still many that just haven’t been shipped to many stores yet. Does anyone know when they will be sent out? A staff member in Blackpool said they were putting the TARDIS sets out either Thursday or Friday. If anyone in that area needs any more information let me know! Do mind me asking Which store? I’ve been told they aren’t getting them at all? 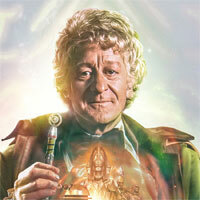 If Blackpool do get the Tardis set, a shout out would be much appreciated – many thanks!! Good. Heading that way thursday after manchester tomorrow. Going to Blackpool tomorrow, is it the B&M closest to the tower? Guy in Trent Vale said the sets had not arrived at the distribution centre yet, so could be end of this week/next week not sure, disappointing but staff were very helpful. That’s so strange, why do some stores get the stock way before others? I’m praying trent vale gets some tardis sets as I’m getting no response from B&M on social media… did they mention a tardis set or just the figures? Just generally said Doctor Who toys so might include the TARDIS or might not, I imagine they probably will get the TARDIS though. Any updates on the Castle Vale delivery? 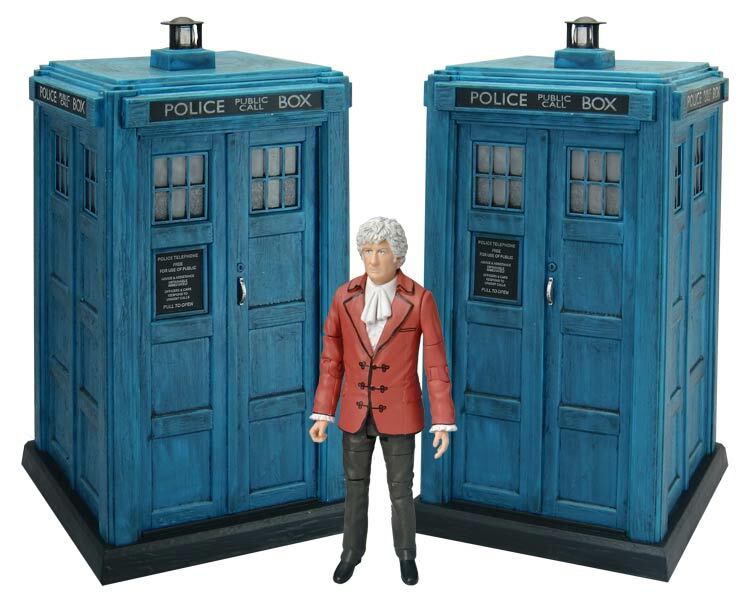 Just phoned b&m yeovil who said they will hopefully be getting the Tardis set next week. Wirral still has nothing. Checked Tranmere, Bromborough, Ellesmere Port and even as far as Chester. Nothing from any sets yet. Luckily my wife is very understanding, considering how much fuel i am using with no results. If you can travel to Deeside they have the 3 sets, no Tardis though. Thanks, Nayf. Will see if I can get over there. Just to confirm, the TARDIS set is much darker and looks much nicer in person. It blends in well with the other TARDIS’ too. The figures on the other hands are a little all over the place; the Tom Baker figure is quite poor but not too bad and for what you pay for you can’t moan. I’m also impressed with the 12th doctor figure and Bill, both being really nice. What time was that? I was in the Millbrook one about 2 pm and they had nothing then. Jim, so is that only one set left in the Southampton store? Did you ask about the Tardis sets at all? yep that was all that was left as of 8am this morning. I asked regarding further deliveries and the 3rd doctor and tardis but they didn’t seem sure when they would get more in. Hadn’t even had a chance to put a ticket out for them! You’ve been a saint! Thank you! Anyone who’s been to the Exeter B&M what sets did they have?? 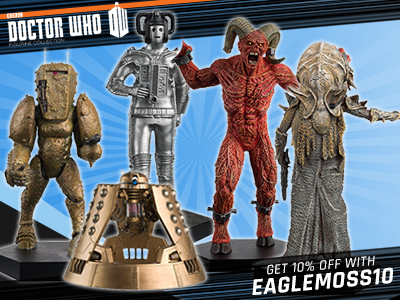 They don’t have anything apart from some old 9th doctor sets, 12th doctor figures and thats all I’m afraid. Ok, so the Bury St Edmunds Western Way had all 3 sets. No TARDIS though. After myself grabbing some sets there is 2 70’s and 1 each of the 11 and 12 sets. Also the staff could not have been more helpful in this store. They called me back this morning to say they had the stock and reserved it for me till i could get there after work. Very friendly and very gratful to who did this for me. I did as about the TARDIS not showing as coming in just yet. As of leaving the store at about 6pm they were on the shelf of the toy isle. About half way down second shelf down on the right. This store has great staff so would recommend ringing in the morning from 8am and they will probably hold them for you as they did for me. Huge thanks to all the genuine posters trying to help each other out today and yesterday, not really seen anything like this before, even in previous years. It’s been great, hasn’t it? True community spirit if you like! Amazing to see fans working together! Let’s hope Character take note of this and get the ball rolling with some more, new mould 5″ figures. They are clearly still popular. Even the classics. its the fact that every set has good variants, every store with last years sets has just the 9th Doctor which was all just re-releases. 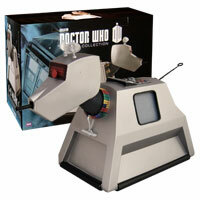 cant believe the tardis sets are selling for over £100 on ebay now, that’s crazy! Any updates on Castle Vale? Isle of Sheppy and got the last 3rd dr Tardis set, they had no figure sets apart from a bashed up 9th dr set from last year and 2 remote controlled Daleks. Chatham had a whole box containing 12 of the figure sets delivered today, I picked up another 12th dr set for a friend which was the last one, they had 4 of each of the other 2. No Tardis sets but the person I spoke to said his store isn’t getting them and he can’t order them. Folkestone will be getting them. Strood had one 11th dr and one 70’s set. 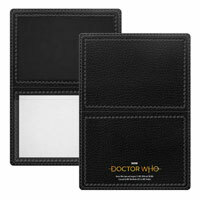 No Tardis or 12th dr set. 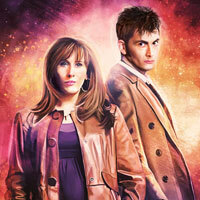 Gravesend had nothing new because they’ve still got about a million 9th dr sets and some 4th dr sets from last year. 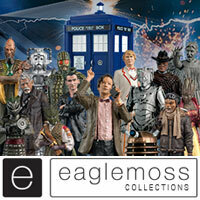 I phoned Lakeside in Essex, was told they have the figure sets but no Tardis. Slough home store had all the sets over the weekend (except the tardis) but they only had x1 11th doctor set and x1 4th doctor set left earlier today. They do expect to get the tardis set, but not for at least another week. Would be nice if B&M could update their website. Really disappointed with the figure distribution this year: some stores have everything, some have nothing and some only have the figure sets. 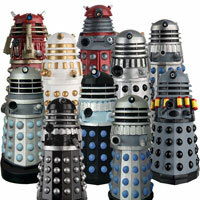 Where are the Tardis sets?! Hopefully next year everything will go smoothly. Best of luck to any fellow whovians trying to find the 3rd Doctor and Tardis set. Where are you from? I’m from South West too. Just picked up one of each figure set from Walsall reedswood West Midlands. There was only two of each and no tardis sets, but there was a big square space next to them so I think they will have the tardis soon. I’m feeling relieved.